Stephen Hawking's most recent prediction is that Earth will be uninhabitable for humans within 100 years, but we might find FTL travel just in time. Stephen Hawking has issued dire warnings about the precarious nature of Earth and the humanity’s “urgent” need to find another home. Climate change, nuclear war, pandemics, overpopulation, resource scarcity, and the rise of AI could reduce humanity to ash. Most, if not all, of these threats can be traced back to anthropogenic sources. In other words, we contribute to our own demise. Instead of fixing Earth, how about leaving it for another planet? At least, that’s what Stephen Hawking has suggested. In November 2016, Stephen Hawking warned that for the human species to ensure its survival, it has to escape Earth. He painted Earth as a fragile planet, and within 1,000 years, we may have broken it completely. Although the chances of an apocalyptic event on Earth for a given year are relatively slim, Stephen Hawking said they could become a near certainty within 1,000 years. It seems that Hawking has revised his deadline since then. 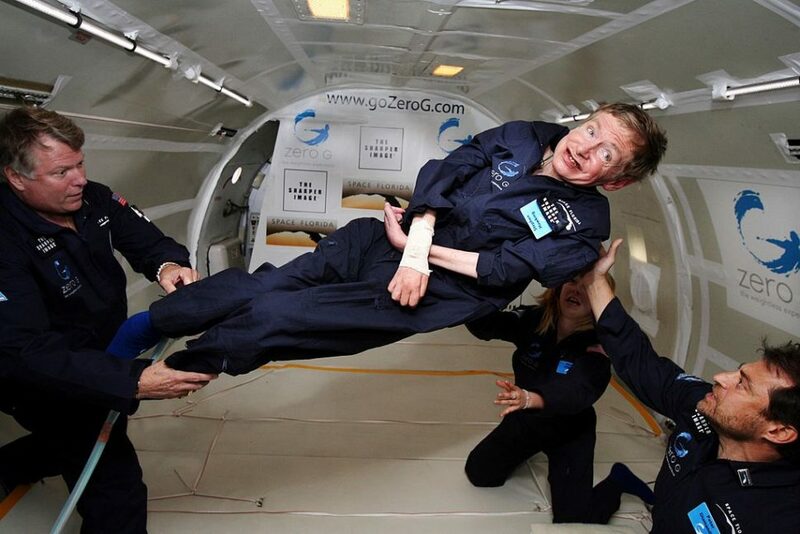 As part of its “Tomorrow’s World” science season, BBC will be airing “Stephen Hawking: Expedition New Earth” documentary this summer, where the renowned astrophysicist brings forward his deadline and speaks of 100 years instead of 1,000 years. According to Hawking, humanity has to leave Mother Earth as soon as possible in order to domesticate another planet within the next 100 years; otherwise, it’ll find itself on the brink of extinction, and there’s no alternative. Humanity may have no option but to venture into space, and not as a leisure activity. In the face of a grim future, we’ll not pursue space exploration because we can do it, but because we have to. If Musk–as part of his goal to help make humanity an interplanetary species–has set his eyes on Mars, Stephen Hawking has joined an initiative that’s looking to go way farther. Last April, Stephen Hawking, Russian billionaire Youri Milner, and Mark Zuckerberg announced their $100 million USD project, Breakthrough Starshot, to explore traces of life in the Alpha Centauri system. The project is also backed by NASA. At 4.37 light-years away, Alpha Centauri is the nearest star to Earth, and is home to Proxima b, a potentially habitable exoplanet. With current technologies, it would take 30,000 years to get there but the Breakthrough Starshot Project aims to develop nanocraft that would travel one-fifth the speed of light (100 Million mph). The gram-scale nanocraft, called NanoChip, would be propelled by a lightsail to reach that speed and get to Alpha Centauri in just 20 years. There are still some technical challenges that scientists have to overcome in the coming years to build the “NanoChip”, which would pave the way to interstellar travel, and humanity’s survival. In order to transport people across interstellar distances, we’ll have to look past nanocraft. We’ll have to discover what, if anything, can travel faster than light and apply it to our conception of propulsion technologies. Student researchers may have made an early discovery of the road to FTL travel. Washington University researchers imaged an optical Mach cone from a laser pulse and discovered that the light source traveled faster than light waves it emitted. In fact, in order to create an optical Mach cone, light needs to travel more rapidly than waves it emits. The team of researchers separated the properties of a laser beam, allowing them to engage velocity, wavelength, and frequency simultaneously. Assuming the emitted light waves were traveling at the speed of light, the original source achieved FTL speeds. How could this revelation be harnessed to improve propulsion technologies? How Humanity Accidentally Made Earth a "Snow Globe"
This discovery might result in improved lightsail performance. Also, this might possibly be leveraged to create nano-objects with negative mass, which could lead to gravity-induced ftl travel. Interesting. Theoretically, how would one go about creating an object with negative mass? If you could fire this kind of laser through antimatter particles, it might create a kind of tiny negative mass black hole that also travels at the speed of light, pulling matter along in its wake. Then, as the light-speed traveling microsingularity absorbs more matter, its increasing gravity might draw in still more outside matter at ftl speed, space being ‘bent’ by the gravity. Intriguing. Are you a physicist/are you working with any cool physics projects right now that you’d like to share? Or are there any FTL-related experiments or theories you’ve heard lately that are interesting to you? I’d be much obliged to see what else you’ve considered regarding this subject.